7 “Behind the Scenes” Secrets Learned from an Amazing Jazz Musician! Inside: Legacies happen as families pass down from generation to generation the things they love and cherish. 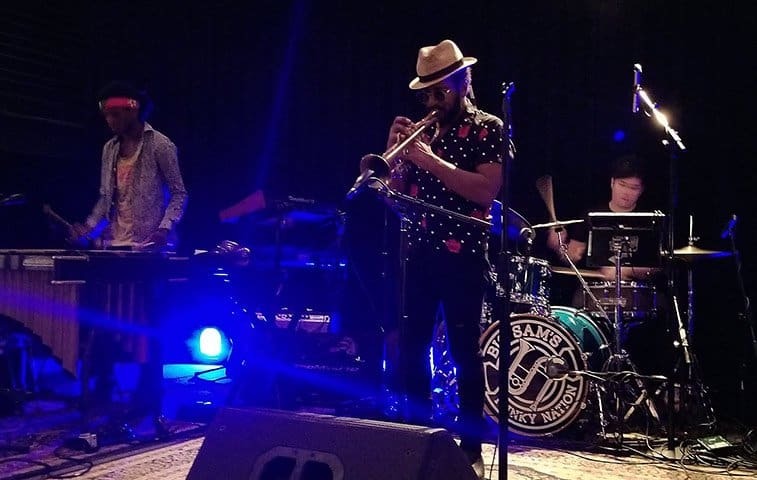 American Jazz Trumpeter, Thaddeus Ford, II, a 6th generation jazz musician from New Orleans understands the significance of legacies because he belongs to one. Here’s what this talented trumpeter says about inspiring your children musically and keeping legacies alive. Thaddeus Ford II is a six-generation jazz musician. His great-great-great grandfather, Narcisse Gabriel, a bass player, came to New Orleans in the mid-1800s from the Dominion Republic. At the time, the music in New Orleans was a mix of interesting sounds and jazz was still a figment of the imagination, but Narcisse loved and immersed himself into the music community. But one thing is for certain—New Orleans was the birthplace of Jazz and America has never been the same since. It’s an energetic, jubilant sound that has reverberated and changed the way we feel, respond, and interpret music. Narcisse Gabriel was there when jazz was born; adding his talents and helping it to grow. He passed his love of music to his son, Martin Joseph (also known as “Big Manny”) who played accordion and cornet. To cement the influence of the Gabriel/Ford family on New Orleans Jazz, a book was penned by family member Larry Gabriel titled, Daddy Plays Old Time New Orleans Jazz and gives the complete history of these talented musicians. Do you have a talent, interest or hobby in your family that has been passed down six generations and counting? Is it related to music? Art? Science? Medicine? Engineering? Construction? Or something else? Interests and passions that are passed from generation to generation link and bind families. It gives us a sense of belonging to something bigger and more powerful than just ourselves. These avocations and vocations within a family define who the family is. Clarence Ford, Sr. was an important part of the family music tree. 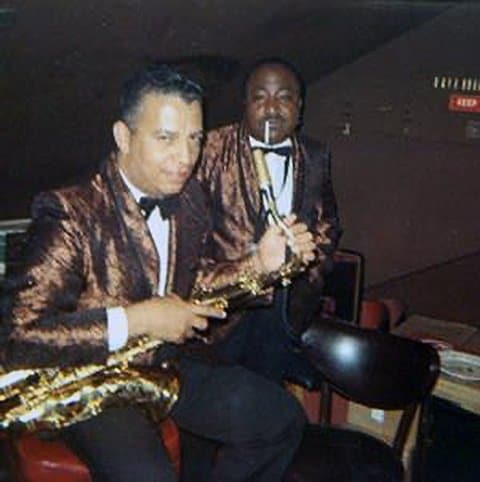 He played saxophone and clarinet and was a sideman during the heyday of Rock & Roll. Clarence toured with Fats Domino and other great musicians for 25 years. And he was Thaddeus Ford’s II influential grandfather. Clarence Ford, Sr. also a talented musician (he toured with Fats Domino for 25 years) was Thaddeus Ford’s grandfather and was en enormous influence on young Thaddeus. He taught him trumpet; sat with him while he practiced and encouraged him every step of the way. That’s the power of loving grandparents! Clarence’s son, Thaddeus Ford, Sr. was a trumpet player. He served in the military and played in the military band for 15 years. It was an easy way to provide for his growing family. He noticed that his son, Thaddeus II loved music and so at the age of 8 he put a trumpet in his hands. It was love at first sound! However, his aunt said he shouldn’t have it until he could take formal lessons so it was taken away until he was 12 years old. High school opened up a whole new world for Thaddeus. He went to the famous performing arts high school, NOCCA (New Orleans Center for Creative Arts). Every prominent musician that has come out of New Orleans has attended this high school…including Thaddeus. Although his father gave him a workman’s knowledge of the trumpet, it was his grandfather Clarence that paved the way for his music passion to develop and grow. 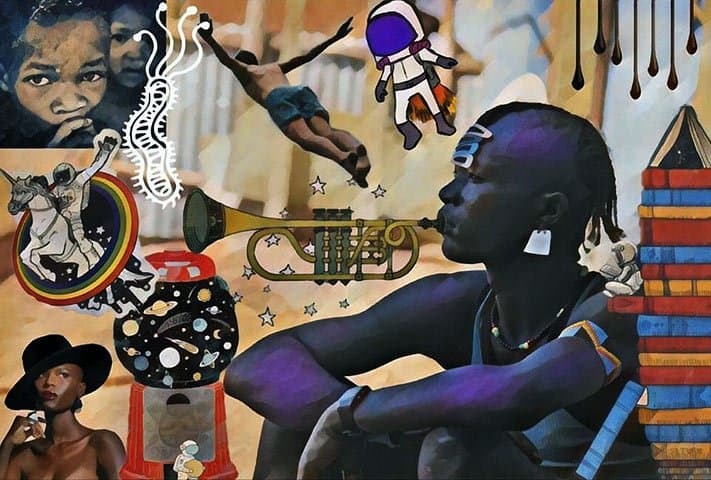 He spent time with young Thaddeus; teaching him the trumpet, sitting with him as he practiced and regaling him with stories of his musical ancestors. Thaddeus knew he was part of a musical family where 75% of the family were professional musicians. He also knew he was his grandfather’s pride and joy! Today, Thaddeus’s continues to build upon his family’s musical legacy. He has two children who both love and embrace the arts. His 10-year old daughter excels at musical theater, piano, guitar, and vocals. His 5-year old son loves the drums. And Thaddeus encourages, helps and supports them both. Thaddeus has two children who both love music. His daughter excels at musical theater, piano, guitar, and vocals. She is (as he puts it) “malleable” and listens and takes his musical advice. He is passing on the family musical legacy to the 7th generation! If you want your children to love and embrace music—be the example. Do they see you playing a musical instrument? Do they see you doing the difficult job of practicing each day? Kids are copycats—they will do what you do rather than do what you say. If you are a music teacher and you have a good relationship with your child—be their teacher. If not, provide music lessons. Even if you are a musician and can teach your children, it may be better for them to learn from a third party. Let your child know that to develop any talent takes time, effort and…practice. Yes, practicing is the difficult part. It’s hard. It’s a chore. But, practicing day after day will also teach your child discipline, the value of hard work and that combining these qualities can equal success. Bottom line—let your child see YOU practicing each day. “My kids see me practicing each day. They know it’s not easy…even for me…it’s a frustrating chore, but it’s part of what it means to be a musician,” says Thaddeus. #4 Children are different musically. 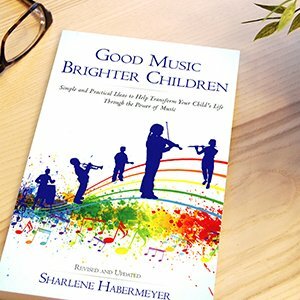 Recognize that each child is unique and will respond to music differently. 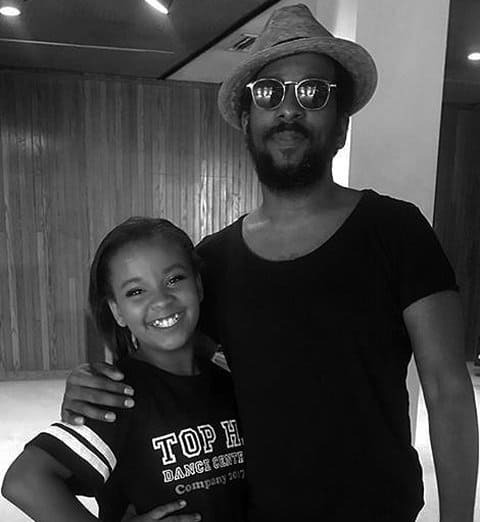 Thaddeus’s daughter listens to his advice and musical suggestions and is following in his footsteps. She is malleable and receptive to her dad and his musical expertise. However, his son is not. First, he isn’t interested in playing the trumpet. He loves the drums (no one in the family tree plays the drum—he’s a first!) and the way he listens to his father is by intently watching and imitating him. Thaddeus respects this in his son and encourages him in the way he responds best…example, not words. 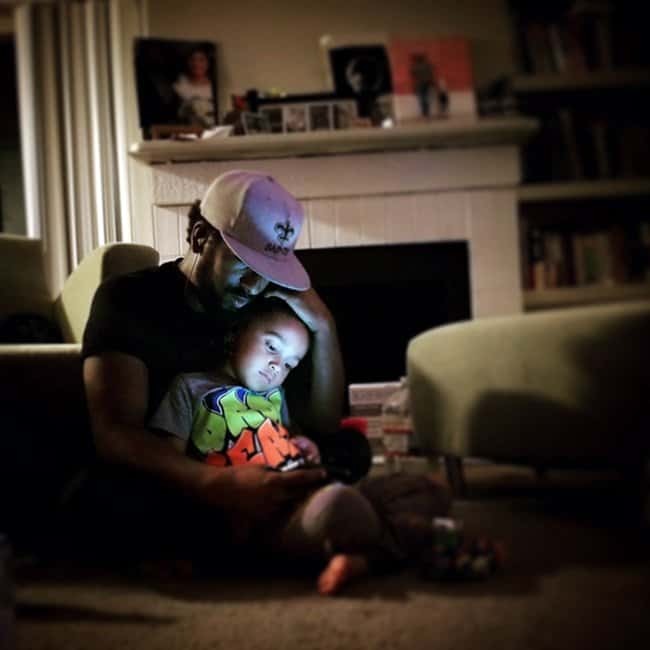 Here is Thaddeus with his son watching jazz videos. His son loves to play drums and Thaddeus has encouraged him to follow his heart and play what he loves. He takes him to his concerts, to music stores to try different instruments and like his father and grandfather, he now helps and supports him. His young son represents the 7th generation of jazz musicians in the Ford family tree. #5 Field Trips to Music Stores. Children need to see different instruments; hold them, touch them and attempt to play them. Music stores are perfect places to introduce your child to the array of instruments available. His five-year-old son loves music stores. It was at a music store where he found his passion: keyboard and drums. It’s also where Thaddeus first noticed his son’s natural inclination towards these instruments. #6 Take Your Kids to Music Concerts. If you want your child to have an appreciation for music and musicians, take them to music concerts and music shows. Thaddeus started a band, “Thaddeus Ford Band,” and takes his son to his concerts. He loves the shows, the energy and watching the musicians play their instruments. Even though he is young, these concerts encourage his love of music. #7 Help Your Children Love the Arts. Most children do not love something on their own. It’s usually through the influence, exposure and support of someone they love, where passion for something blooms and grows. That person is usually a parent, grandparent or friend. Thaddeus understands this. Yes, his father influenced him musically, but it was his grandfather’s tutelage that spearheaded his passion for music. He was the one who taught him music; exposed him to music and took an avid interest in his growing talent. Going to an arts high school was also a huge influencer. He was surrounded each day with like-minded people whose passions were living and breathing music. If your child shows an interest in something they truly love and enjoy, find ways to help them develop it. The Fords have helped their children love and appreciate music. They are helping them find their own musical “voice,” by being an example of what it takes to build a music talent through hard work and dedication. Creating and sustaining family legacies is all about love and support! Thaddeus comes from a long line of talented musicians, but there is a slight glitch in the family tree…they are susceptible to heart attacks. In his early 30’s, Thaddeus suffered a major heart attack. For 9 months he couldn’t play the trumpet or teach. He was confined to mandatory bed rest. As would be expected, it was an emotional roller-coaster and difficult time for him. But, it also gave him time to think and evaluate his life and music. His advice: discover your talents whatever they may be. Help your child discover their talents. Develop those talents. And above all, find the voice within your soul. Follow that voice—even if it goes against family, culture or tradition. It’s a way of finding true happiness. Today, Thaddeus is busy with his own band, (Thaddeus Ford Band) writing music and helping to raise his musically-talented children. But, he also gives back to the community by helping others discover their musical talents. He has written and received two grants. His first grant, an “Artist Grant” was awarded from the Dallas Office of Cultural Affairs which he used to compose an original suite for an art installation called, “From Tragedy to Triumph.” It was loosely based on his personal life. His second grant is a 2-week intensive music class for high school kids who don’t have access to music or dance opportunities. 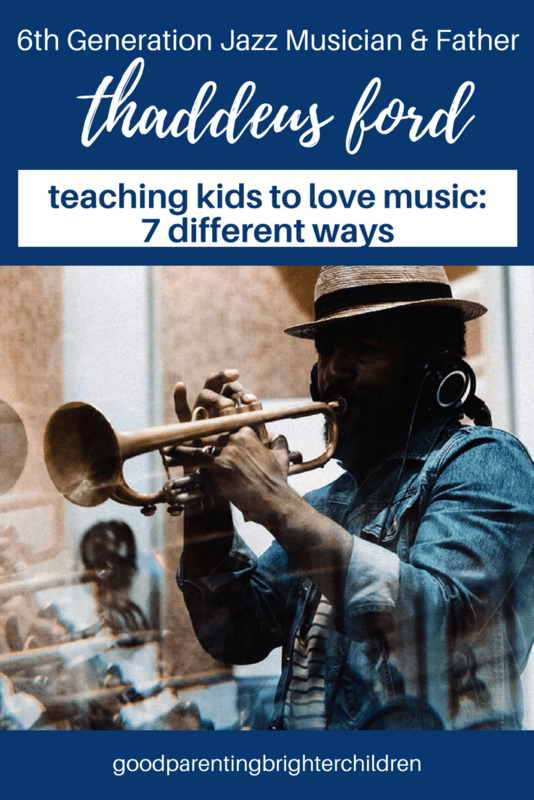 Combining music, dance, and band, the class will teach the students to be better musicians; better listeners and increase their music experience. Called “Second Line,” students will create music reminiscent of jazz funerals. Beginning with a solemn dirge when leaving the home; paying respect, and burying the body, the mood and music changes to the “Second Line,” where the music is upbeat and includes an intensive fête of the person’s life as people dance, sing and play instruments while traveling in happy celebration down the street and back to the deceased person’s neighborhood. Today, Thaddeus has his own band, “Thaddeus Ford Band.” They perform all over the United States. 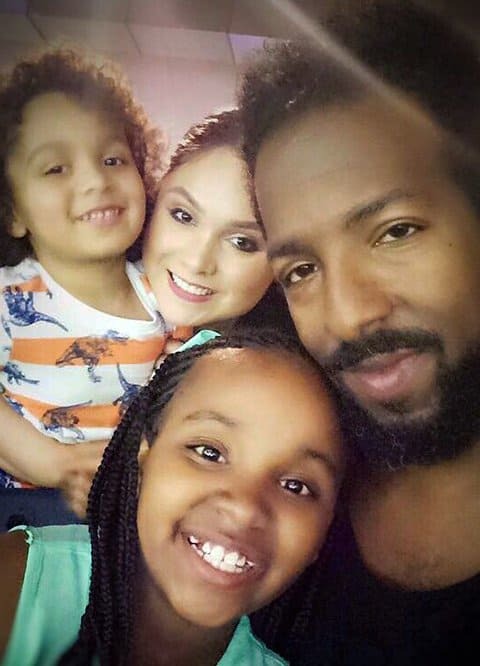 He is involved with helping his own children musically and he gives back to the community. He’s written two grants and the latest one “Second Line,” will be a 2-week intensive music class for high school kids who don’t have access to music or dance opportunities. How do you connect with people? Is it through one of your talents? Interests? Hobbies? A difficulty you have experienced? A tragedy? A triumph? For Thaddeus, music is his way of connecting with people. It’s been the way his family has connected to one another and the community for 6 generations. The challenges in his life have also connected him to others. In 2017, Thaddeus Ford II was nominated as “Best Jazz Act” by the Dallas Observer Music Awards. Discover what you love. Develop it. Help your children develop their talents. Then share it with family and others. And the beat goes on…from one generation to the next. You can access the 2-minute video here. « 7 Awesome Ways Fairy Tales Make You Larger than Life! Wow! What a remarkable man. His closing thoughts moved me. I couldn’t agree more that connecting with people is so very important. Wonderful post, Sharlene. Thank you, Tiffany! Yes, I really loved what he had to say–and I always find it interesting that we get our most insights about life and living after experiencing trials and challenges!